Home » Features » 6 Of The Most Mind-Blowing Technical Thrash Albums Ever Recorded! Thrash is great. Technical thrash is better! To that end, Worship Metal has selected 6 Of The Most Mind-Blowing Technical Thrash Albums Ever Recorded for your perusal. Time to pop on a hard-hat, it’s the only way of guaranteeing your brains don’t end up on the floor! After the relatively no-thrills thrash found on Deathrow’s Riders Of Doom aka Satan’s Gift and Raging Steel, there was virtually no indication that Deathrow would break boundaries with their 3rd full length release! Complex and rhythmically confounding – but never at the cost of a satisfying sense of structure – the likes of “Narcotic” were insane blasts of technical thrash wizardry and should have marked Deathrow out as pioneers of prog metal/tech thrash very early in the game. Instead, obscurity beckoned with Deception Ignored initially receiving a lukewarm response and ironically ignored by a legion of confused fans. Fortunately, this outstanding album has gone on to be revered as a work of almost labyrinthian art, misunderstood by many but now beloved by those in the know. A technical thrash masterpiece from a band way ahead of the curve….this is one album that truly has to be heard to be believed! Each and every one of Coroner‘s 3 albums released in the 80’s probably deserve to be on this list, but we have a one album per band mantra to stick to (for diversity’s sake, ok!) and it’s to 1989’s astonishing No More Color to which we turn. Coroner’s pure riff nirvana was a byname for technical thrash perfection and their innate ability to write astoundingly aggressive, ever-surprising songs in such a succinct manner made them leaders of their field…..and No More Color was the pinnacle of their achievements. These pioneering Swiss tech thrashers didn’t give two-fucks about genre convention – such was the intensity in which they carved their own path – and No More Color confirmed, once and for all, that we were dealing with three individuals of unfathomable skill. The most consistently impressive technical thrash band of the 80’s. Fact. So ahead of it’s time, Control And Resistance still maintains the power to shock and surprise….imagine how it sounded 30 years ago! Where to begin when discussing one of thrash metal’s most distinct albums? Simply put, there is no other thrash record quite like Artillery’s By Inheritance and it’s a relatively unsung, stone-cold classic of early 90’s technical thrash! Brutality wasn’t the key here, instead it was jaw-dropping technique that proved to be Artillery’s primary focus. Totally unique and consistently brilliant, the Middle Eastern flourishes amazed throughout but it was Artillery’s adventurous spirit which cemented them, for a short while at least, as true greats of the technical thrash scene. An album of unfathomable depth, the use of melody, drama and Flemming Rönsdorf’s histrionic vocals may take a moment to come accustomed to0, but there’s soon just one word to describe Artillery’s finest hour……”masterpiece”. It’s fairly common knowledge that the sheer amount of riffs on this thing is mind-blowing (“9 songs, 67 minutes, 246 riffs!”, to be precise) and Dark Angel‘s Time Does Not Heal has, rightfully, gone down in thrash history as one of the most enduring feats of bravura musicianship ever committed to tape! 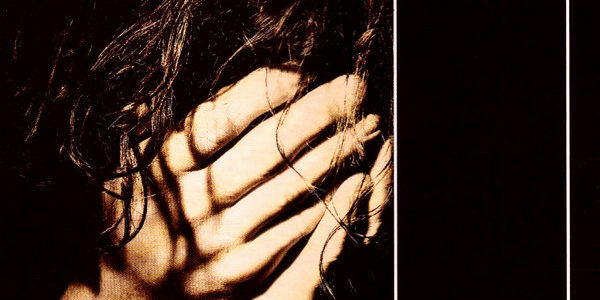 Ambitious to the point of lunacy, the sheer number of ideas on this early 90’s classic could have filled 3 further albums but, instead, Dark Angel decided to release a definitive statement; one that’s somehow rendered clean of fat, despite the excessive complexity on display. Lyrically profound – and tackling a wide range of hard-hitting sociological subjects – there’s argument that Time Does Not Heal is also the most intelligent thrash album ever recorded….and who are we to argue with that?! 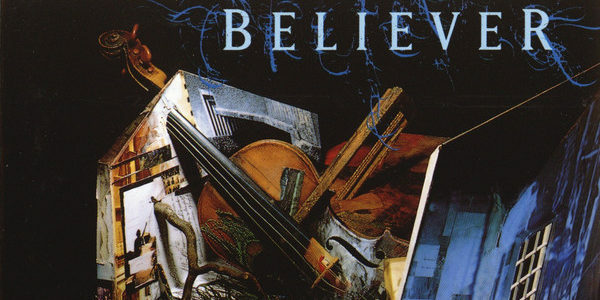 Home to the kind of syncopated riffs which must have had the guys in Meshuggah scheming their own eventual rise to dominance, Dimensions was the third album from Christian progressive/technical thrash metal band Believer and it shook the foundations of thrash to its very core! While 1990’s Sanity Obscure runs it a close second, Dimensions should be considered Believer’s masterwork with bewildering tempo changes and psychic interplay transforming 3 mere musicians into a colossal force of heavenly proportions. Nonchalantly throwing in the violin/viola of Scott Laird and Julianne Laird Hoge’s exquisite soprano/operatic vocals added even more layers. Take, for instance, the sheer audacity of “The Trilogy of Knowledge,” a 20-minute excursion into pure brilliance inspired by the greats of progressive rock such as Pink Floyd, Yes and Emerson, Lake and Palmer which somehow surpassed the majority of them; a series of ‘movements’ (so to speak) which need to be heard to be believed! An uncompromising, labyrinthian progressive/technical metal milestone, Dimensions‘ ability to send your brain into orbit remains undiminished. We’re toying with the idea of writing 6 MORE Of The Most Mind-Blowing Technical Thrash Albums Ever Recorded, so pop your favourites in the comments section below and we’ll have a civilised natter about ’em! 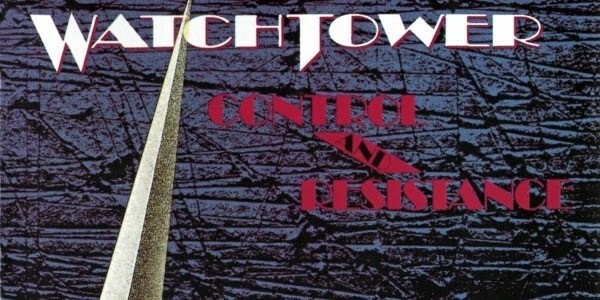 8 Comments on 6 Of The Most Mind-Blowing Technical Thrash Albums Ever Recorded! Are we beyond mentioning Sadus’ A Vision of Misery or Meshuggah’s Contradictions Collapse? You’ve covered the best albums already in other related articles. Maybe Tourniquet’s Pathogenic Ocular Dissonance? Not at all…a follow up is in the works 🙂 \m/ . Please check out Extol – Synergy.